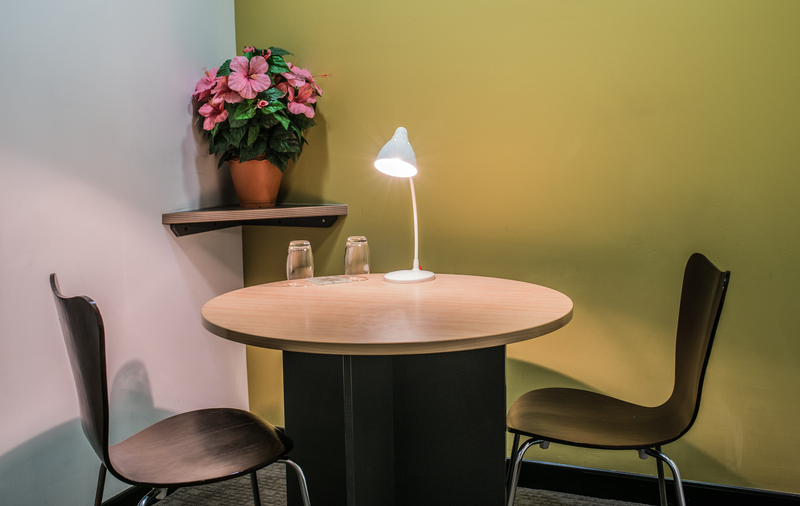 This sophisticated 2 person meeting room is the perfect alternative to a busy coffee shop or home visit. ‘Inspire’ is not only affordable but it provides business’ with an outlet to thrive in a professional environment. This room is particularly popular with psychologists and law professionals as it is private yet allows natural light to shine through.